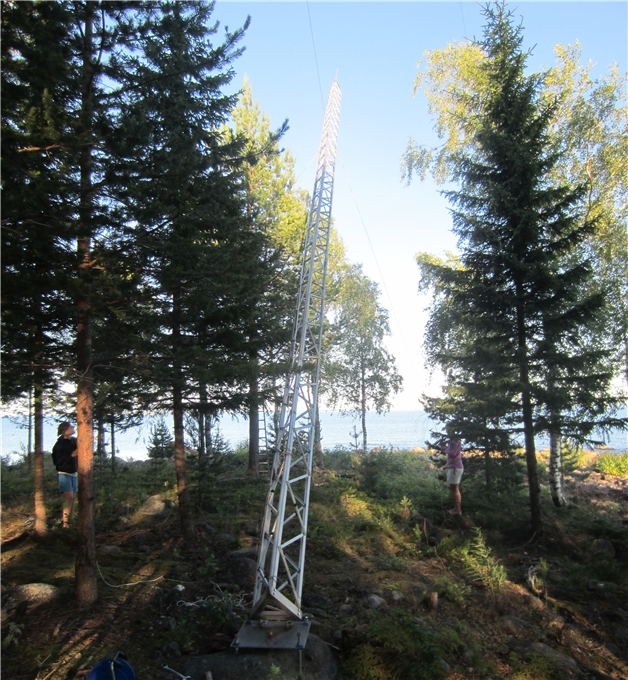 The 80/160m vertical is made of a 18m Vårgårda aluminium tower with a aluminium tube on the top . 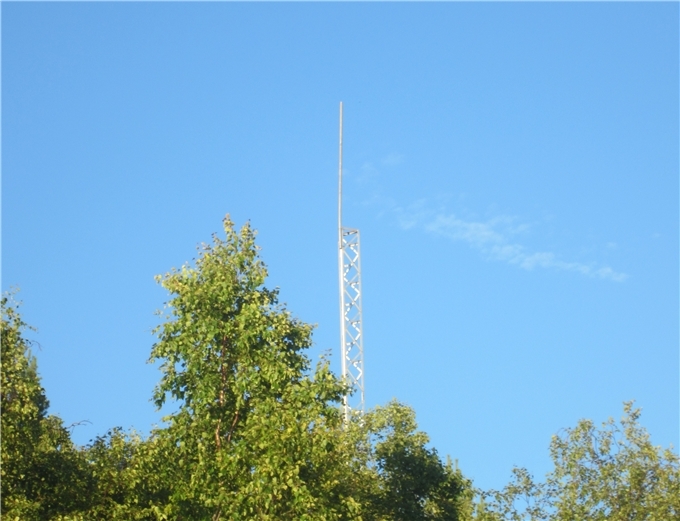 The Vårgårda tower is exremly light weighted. Only 11kg/3m I think. It’s to weak to use if you need to climb to more than 12-15m but as a radiator it’s perfect as I can carry the whole radiator by my self ( 6×11=66 kg). The width is about 380 mm (15″). When using it on 160m there is a relay which connect a matching coil in the bottom. 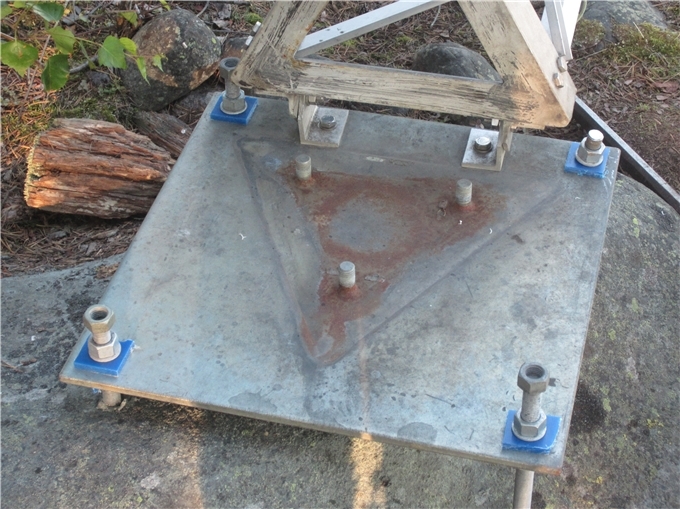 The base is bolted to a natural piece of rock. The bolts are issolated from the base plate. I don’t know if it’s needed but I was recommended to do so. The guy wires are 6mm Bayco. 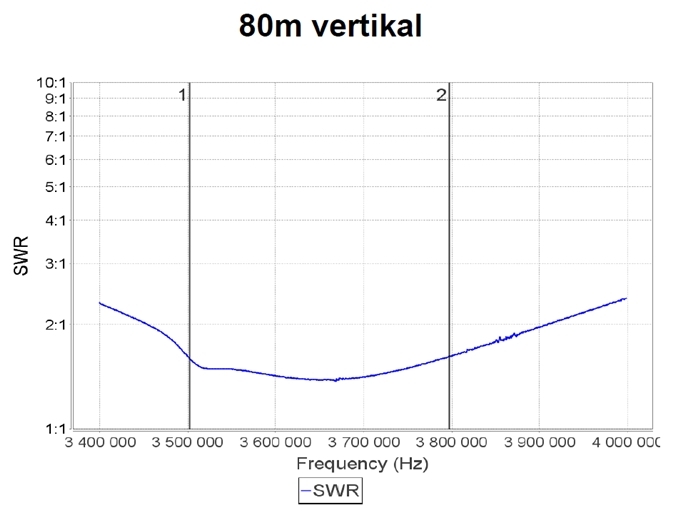 I have no picture of the radial net, but it’s 60 radials , 20 m ( 66 ft) each.